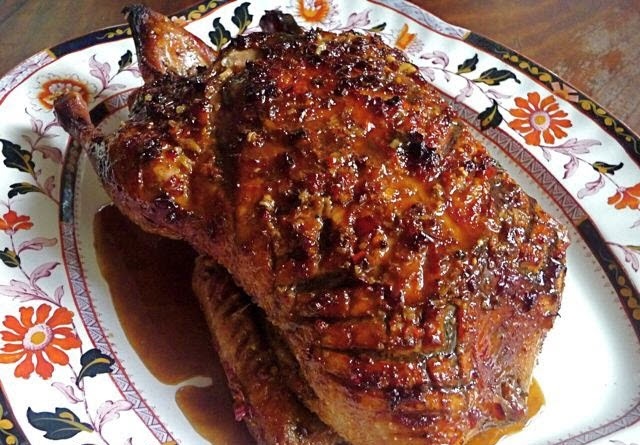 There are many duck recipes available out there and I am a lover of duck meat. 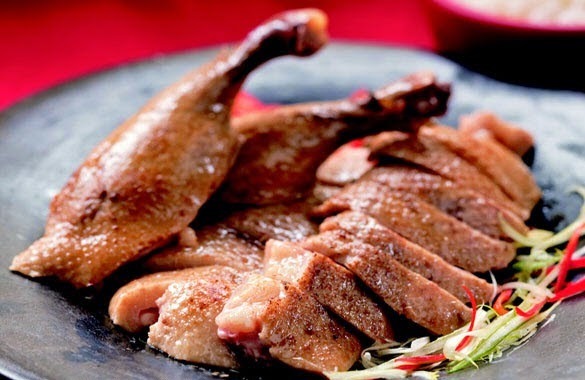 Yet, I must confess that despite there being such a big variety of duck recipes, I am still partial to the duck recipes – Peking duck, roasted duck and stewed duck. 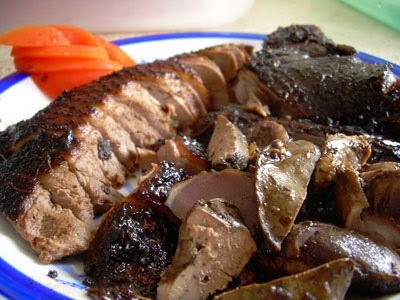 Today, I shall share with you my family recipe for stewed duck; it is also one of Best Vietnamese Food. This duck recipe uses dark soya sauce and some simple ingredients to give the duck an aromatic flavor yet retain the juiciness of the flesh. If you can get hold of the ingredients mentioned, I would recommend that you try this recipe for you will be amazed by how easy it is to cook a wonderful and delicious stewed duck dish. The progress of making this Best Vietnamese Food is not simple, you need to clean duck thoroughly by rubbing it with some salt. 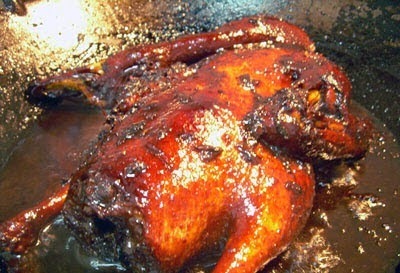 Rinse, Rub about 30 grams of 5 spice powder over the duck and allow marinating for 1 to 2 hours. Pound the galangal, garlic and shallots separately. Heat 2 tablespoons of oil in wok and sauté shallots till aromatic. Remove shallots. Add garlic and sauté till aromatic. Remove garlic. Add galangal and sauté till aromatic. Return shallots and garlic into the wok and stir together with galangal till even. Add dark soya sauce and sugar. Stir well. Add duck and coat it with mixture. Allow duck to cook and shrink slightly. Control heat so that duck does not burn. Once duck has shrunk slightly, add 200 ml water and allow it to boil. Continue with another 200 ml and repeat process till 1 liter of water used. The water should be filled up to at least half the duck. Add remaining 5 spice powder and reduce heat to simmer. Stew or simmer for 1.5 hours turning every 10 minutes. Add salt to taste and water if it is drying out. Remove duck and drain off excess gravy. Allow to cool before serving with gravy (sieve gravy to remove spices before serving this Best Vietnamese Food). 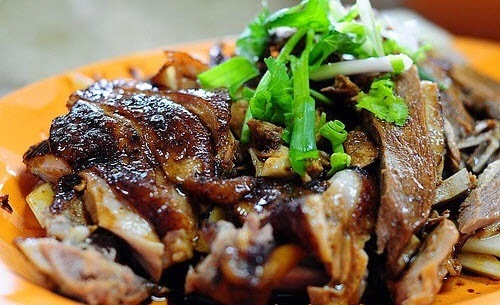 To sum up, the roasted duck is not a different dish to you, however if you have time, come and enjoy it at Vietnam. You may like the new taste of this Best Vietnamese Food when eating there; it will be probably your new drug. Hope you will have a happy trip with family and friends in my beautiful country.